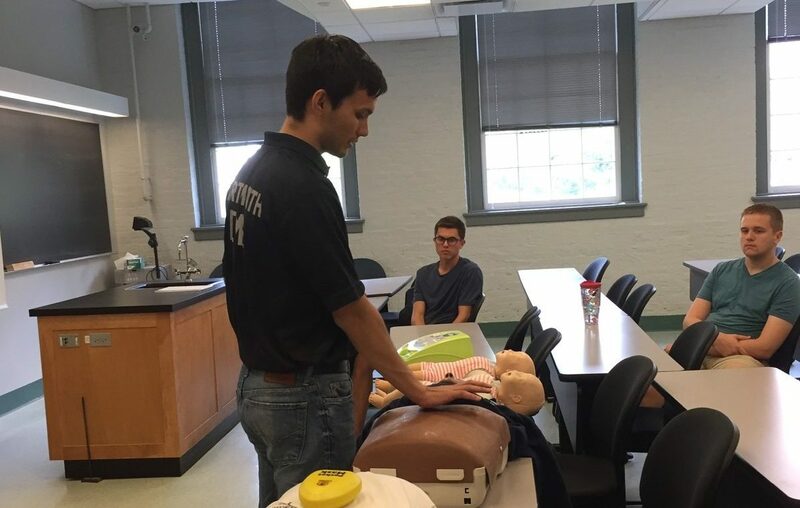 Dartmouth EMS offers American Heart Association certification courses in First Aid and CPR. Most of our CPR courses are at the “Heartsaver” level, though we do offer training at the “Healthcare Provider” (Basic Life Support) level for professional rescuers. Our First Aid and CPR courses are available at a subsidized rate of $35 per course for undergraduate students. 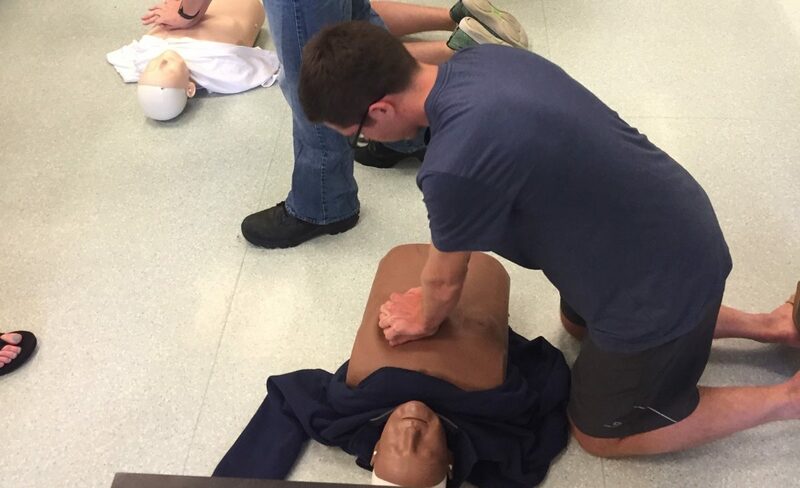 Our BLS course is offered at a reduced rate of $15 for undergraduate students. The cost for graduate students, faculty, staff, and community members is $45 per course for all three courses. If you would like to sign up for one of our classes, please follow the link below. We also offer courses for student organizations, community groups, and departments at locations and times of your choice. Please email us at dartmouth.ems@dartmouth.edu to set up a customized course for you at your location in the Upper Valley area. **Tardiness Policy: If you are more than 10 minutes late to a class your spot may be given away to an unregistered person who was on time for the class. We cover material quickly and being on time to these classes is very important. A reminder email will be sent Sunday night to everyone who has signed up for classes that week. A second reminder email will be sent the day before the class. Any cancellation after the second reminder email will invoke our class cancellation policy, as outlined below.